Controlled resection of superficial and deep tumors will make flexible robotic endoscopy an important weapon in Johns Hopkins’ fight against colon cancer. 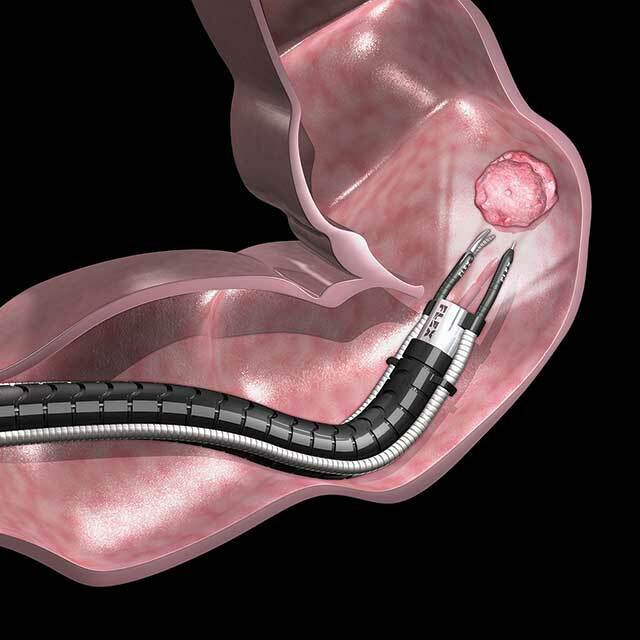 Image shows rendering of robotic endoscopic resection. Thus far in the United States, robotic endoscopy has been limited to the sorts of things possible with a rigid scope and instruments. 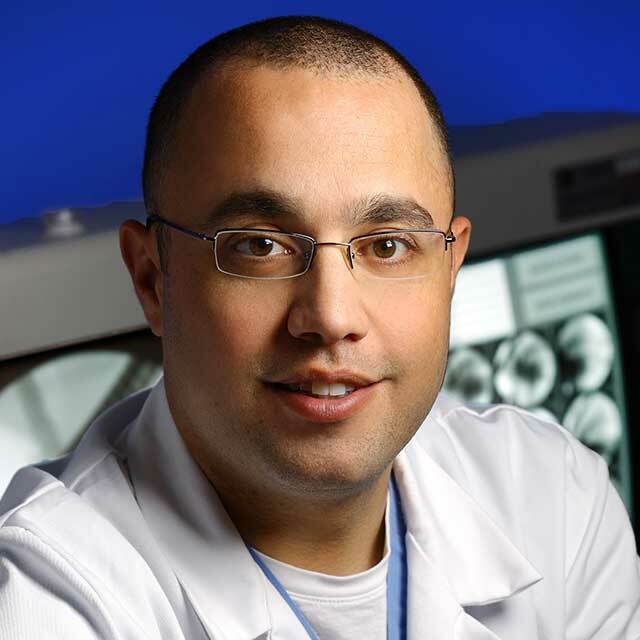 “For therapeutic uses, the flexibility just hasn’t been there,” says Mouen Khashab, director of therapeutic endoscopy at The Johns Hopkins Hospital. At Johns Hopkins, that’s about to change. Khashab and several of his colleagues at Johns Hopkins have spent months training on the first-ever FDA-approved flexible robotic endoscope. Controlled resection of superficial and deep tumors, Khashab says, will make flexible robotic endoscopy an important weapon in Johns Hopkins’ fight against colon cancer. When it comes to difficulties in therapeutic endoscopy, challenges posed by anatomy have largely been the main culprit. Often, gastroenterologists recommend surgery in the case of larger tumors, not because mass can’t be excised, but because of what that resection leaves behind. Manual endoscopic suturing of large holes left after resection often presents a challenge, especially in anatomically difficult areas of the colon. Though endoscopy has revolutionized the field of gastroenterology, there are still challenges. Intestinal folds can obscure a scope’s field of vision, making it difficult for the endoscopist. Excessive force applied to intestinal walls and endoluminal linings can result in tissue trauma. And the controls of manually operated scopes are modelled after laproscopic surgical tools, which can cause ergonomic difficulties for the endoscopist. Robotics improve on each of those factors, even offering a more natural “feel” for the endoscopist, via haptic feedback and improved precision. Khashab cautions that, because the technology is still in its infancy, flexible endoscopy won’t replace surgery entirely. Still, he says, the new robotic system will be an option for many patients.